It seems like I’ve spent the past month in the kitchen. I baked Christmas cookies, cakes and pies. I made soups and snacks and egg bakes. I prepared a bountiful Christmas dinner followed by a taco bar for New Year’s Eve and game day fan food for the big NFC North division football game between the Minnesota Vikings and the Green Bay Packers. I’ve grocery shopped, sliced and diced and rearranged those plastic storage containers in my refrigerator countless times. You likely did the same. But it wasn’t always this way for me. I haven’t always been as intently focused on food. But this focus will likely last longer than the 12 days of Christmas. Because I’ve come to understand something that once made me scoff. For years, my mother-in-law has seemed obsessed with food. It’s partly a generational thing. Or a regional thing. Or a raised on a farm thing. Whatever the reason, family gatherings are always scheduled around the next meal. Eager attempts to make sure she prepares each of her son’s favorite foods. Genuine disappointment whenever guests refuse second or even third helpings. This behavior used to make me chuckle. “What’s the deal with all the food?” I wondered. I grew up in a small household of only girls. We didn’t think much about food. My mother freely admits she doesn’t like to cook. But it’s not like we starved. It’s just that my young life was fueled by more cold cereal and TV dinners than my husband’s. No big deal. Right? Well, food has become a bigger deal to me. Why? Because I have teenage sons. As my sweet boys grow taller than me and develop separate lives that I’m only partly privy to, I become like an awkward girl trying to get their attention for a few minutes a day. Gone are the days of having chubby-cheeked toddlers snuggled on my lap. I no longer lie next to little pajama people at night telling stories or singing songs. They are learning to cope with life’s challenges without running to their mommy every time they wince from a bit of pain. And these are good things. Thank God my boys are becoming men. Beautiful, compassionate, hard-working men who I’m sure still love their mother even though they offer me fewer hugs in public. But you know what makes them light up? Food. I’ve discovered what my mother-in-law has known all along. That one sure way mothers can show love to her boys who no longer want to be snuggled and covered in kisses is to make their favorite foods. I will simmer roast beef in the crockpot and make stacks of pancakes on Sunday mornings. I will shower my boys with a food storm of love until they move away and dream of their mom’s home-cooked meals. 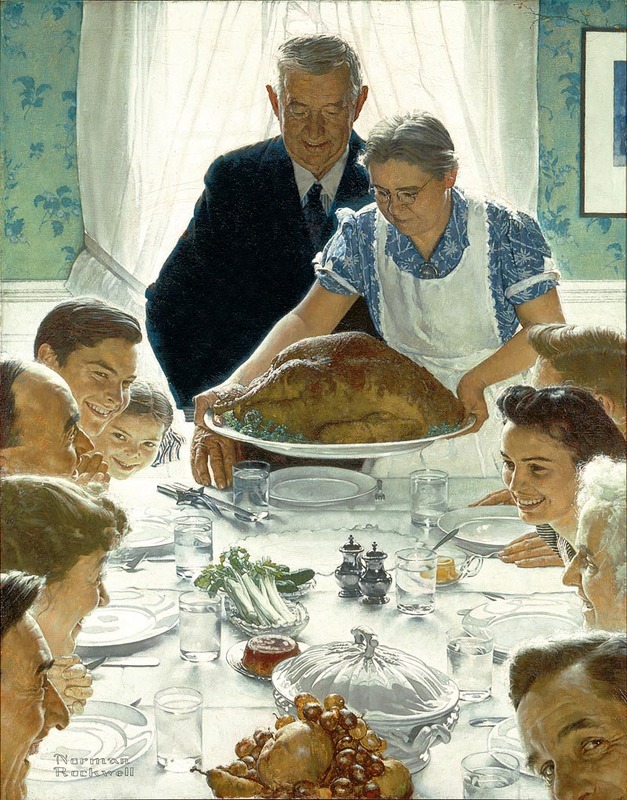 I will pray God’s blessings over all of our shared meals and create dinner table memories with my children. We will break bread together. We will connect and converse. I will get to peek into their lives while they partake at my table. I will cherish the opportunity to love them with the bounty of my kitchen. I will bless them with abundance. And one day, I will likely be distraught, like my mother-in-law, when my sons are middle aged and their wives scoff at the idea of second helpings. ← How Should We Respond to Facebook “Friends”? Love this and agree wholeheartedly, Angela. My daughter wasn’t (isn’t) a big eater but I could definitely make points with my son (and his friends) with food. I’ll always remember fondly that my son used to call up one of his buddies and invite him to dinner whenever I was making baked mac/ham/cheese. Whatever it takes, right? I love this! I also loved the chili cheese dogs!! Though why Corbin is still bean pole thin after eating 4 of them is a mystery to me!!! What a lovely post. It is my favorite thing to do for my children as well. I am divorced, and hardly cook any thing. But when I know that my children, and or grandchildren are coming over, I feel like I’m 30 again, and have an important thing to do. And like my grandma, I have a treat jar filled to the brim with their favorite things. I love that the way to their hearts is sometimes through their tummy’s!